Yay! Summer’s here and kids are breaking up for school. The season of silliness has begun. This is the time when we’re breaking from our normal routine. Of course, it’s just fabulous to have a holiday and sometimes I find that when I can take a break from normal routine, that opens up space for thinking new thoughts and having a change of perspective. It can be so wonderful to see life from a different perspective and to see how things could be done differently. Perhaps when we’re taking a break from everyday life, we can see our life from afar, and we can take an inventory of our current life. What’s Serving You? What Isn’t? Are your daily routines serving you and your loved ones and your family? Which is consistently your favourite time of day and why? And what could you do to improve that? And when is your least favourite time, and what can you do to improve that? And how is your yoga practice? Does your practice feed and support your everyday life? Do you feel inspired or stuck? Do you feel what you learn on the mat relates to what you do off the mat? If you can, see if you can answer the questions in a detached, non-judgemental way. It doesn’t matter what the answers are, but it is nice to take the opportunity of summer downtime to have a little recap of our daily world. Are we being the person we want to be with our friends and family? And what can we do to improve that? On holiday, as we lapse from our routine, we might normally lapse from our usual yoga class. But of course this is the beauty of online yoga – we can keep our practice alive. Perhaps as you practice this summer you might be able to take your class somewhere different, be it in the park, on the beach or in your holiday home. And perhaps see if there are any aspects of your practice you’d like to improve or change up as you think about healthy habits you’d like to continue. We’ve put together some of our summer favourite classes in a new challenge to help you Get Into Summer. Do have a look! And we’d love to see the new places you’re practicing, or if you’re not taking a break this summer, perhaps you’re just able to take your mat to the park with a friend? Show Us Your Summer Yoga Moves! Share your pictures with us on Instagram @movementformodernlife using hashtag #movemorelivemore + #movementformodernlife. Or pop them on Facebook in our Movers Group– our support group just for subscribers and teachers to inspire and support each other. Enjoy your change from the norm! 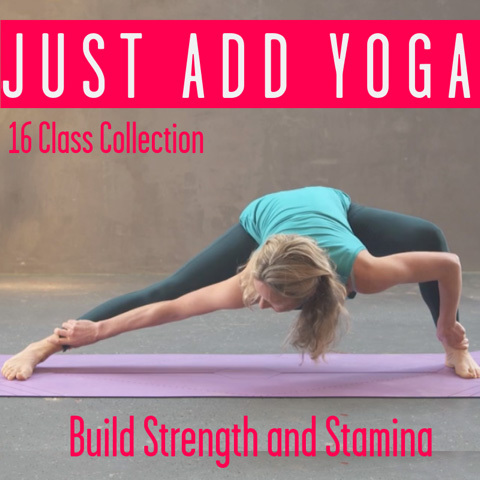 This entry was posted in Kat's Movement Mission and tagged advice, kat farrants, new perspective, summer, summer challenge, summer yoga, thoughtful, wisdom, yoga, yoga anywhere, yoga outside on July 19, 2018 by Edith Johnson.